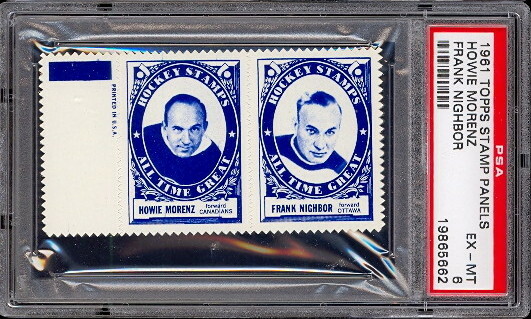 There are 26 Stamp Panels making up this Scarce Set. 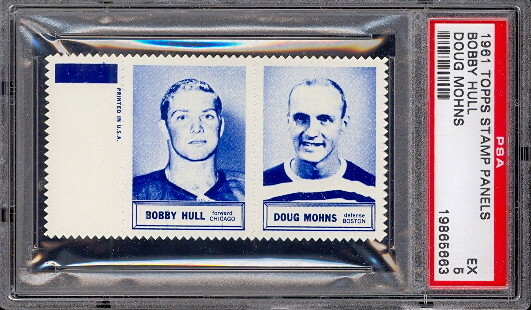 Three teams are represented, the Boston Bruins, Chicago Blackhawks and the New York Rangers, also there are All Time Greats. 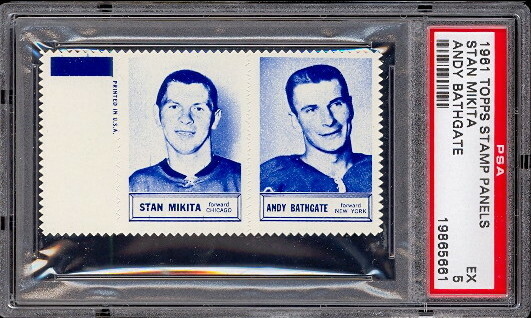 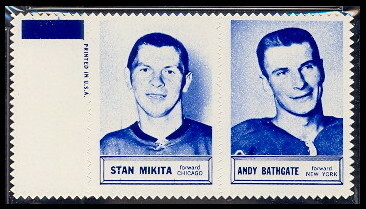 The Stamp Panels were inserted in the 1961-62 Topps Hockey packs.